Google is constantly implanting new improvements to their search algorithm which makes choosing the right SEO Company more important than in prior years. 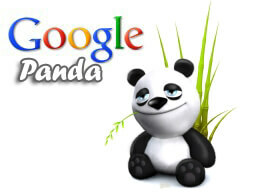 In 2011 Google released a new update called “Panda”. Panda aimed to lower the rank of poor quality sites and have search results return higher-quality sites near the top of the search results. Factors are now based off of quality of a website, design, trustworthiness, speed, linking and even the use of social media. The Panda update was named after engineer Navneet Panda. While this is the most recent update, Google has been known to make 500 changes a year, to improve how they deliver search results. While it is nearly impossible for an SEO Company to stay be ahead of Google, it’s always important for your SEO Company of choice to understand the constant evolution of search.